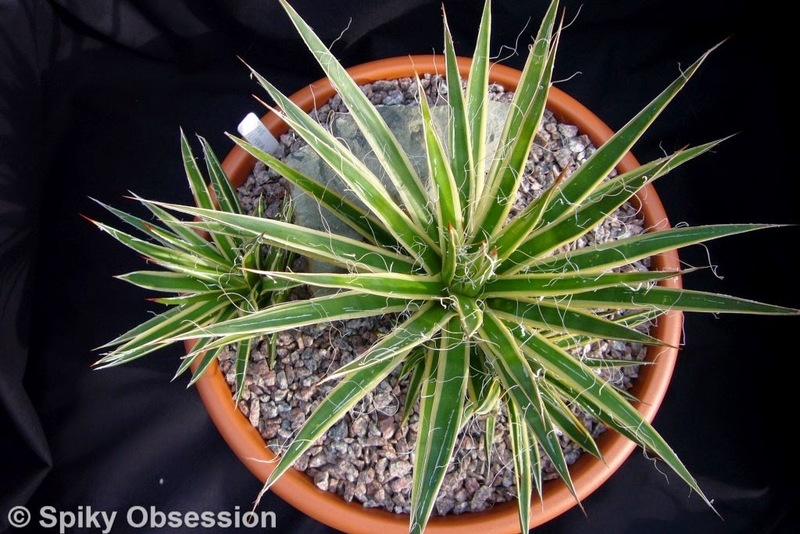 Spiky obsession: One of my favourite variegated agaves. 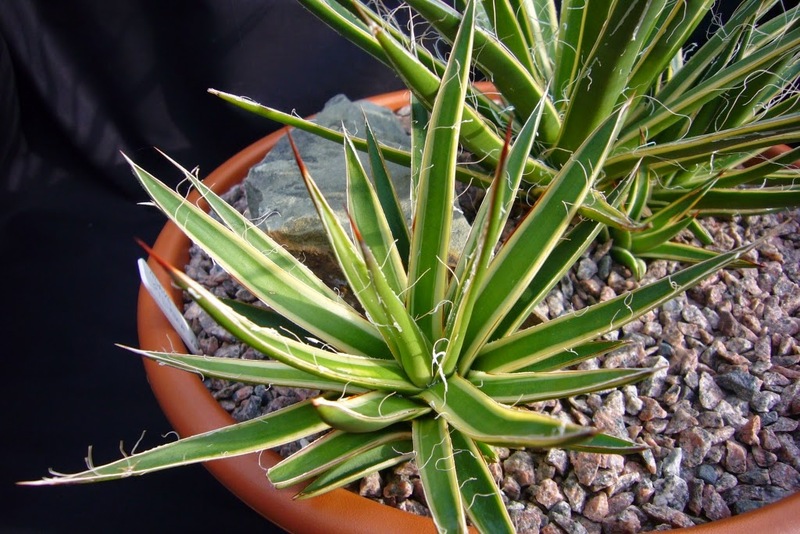 One of my favourite variegated agaves. Taking photos of the plants means there will probably be a few posts in a row with some of my favourite plants, today it is one of the agaves. 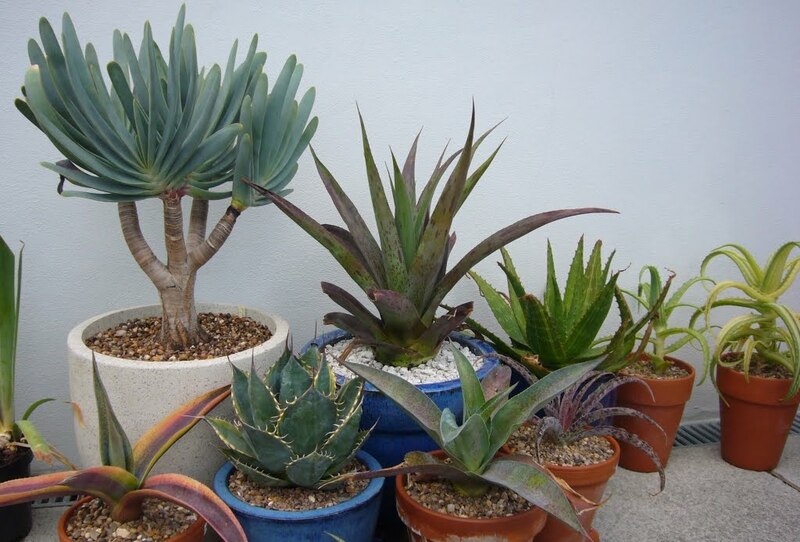 There are several forms of agave filifera: the compact, the plain green and the variegates. 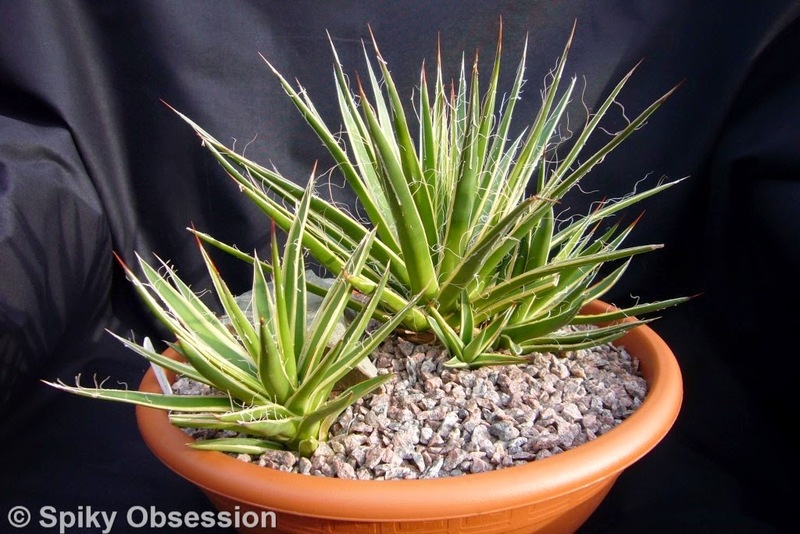 I got the agave filifera variegata as a small plant and have been carefully growing it on for the last few years. Has good stable variegation, this one has two colours but there is one with three. Last year it produced it's first pup and at the time I couldn't decide if I was going to leave it to clump or split it. By this spring two more pups had appeared and so it was potted into a much bigger pot in the hope of separating them out a bit. It has been sitting on the patio wall all summer where it can be admired and has flourished. The offsets have grown into nice plants in their own right and the clump as a whole looks great. I would imagine winter wise it would be quite hardy. The other filiferas all have excellent cold hardiness, the normal forming being planted out unprotected. However given it is one of my prized plants it is another one that gets brought inside and put somewhere good. Without water it can be placed somewhere on view without needing to worry about it getting leggy. I can't wait to see what it looks like this time next year, at that point I may need to decide if I want to pot it up again into a really large bowl as a real feature. Bulbine latifolia really coming good.